carport, carports, terrace roofing, pavilion, garden houses or pool canopies - welcome! 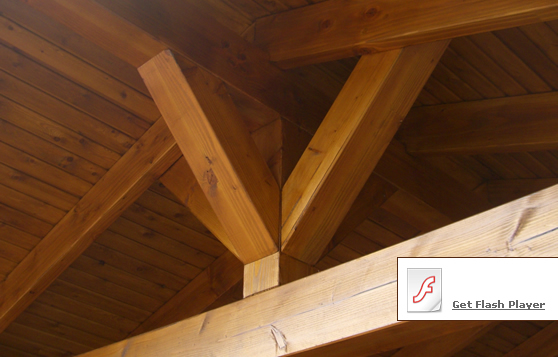 Are you planning a new carport or canopy, then let us be your competent and professional partner: we advise, design, produce and assemble unique timber constructions in premium quality - individual and exclusive. Design and quote your new Carport right now with our online wizard. You´ll receive an individual offer as e-mail. Do you need a new carport for your car? We design and build bespoke high quality carports for Ireland, England, Wales, Scotland and Northern Ireland. Wether you need a carport with a pitched roof, flat roof, pent roof or hipped roof, every carport is built using precision machined mortise and tenon joints. This means that the carport can be assembled easily and quickly. Why not get an instant quote by using our online configurator. Your terrace needs a new roof? Choose from a range of materials including wood, glass or marcolon. At our plant in Berlin, Germany, we design and build to the highest standards. The result is a attractive, individual terrace roofing which are easily assembled by our teams in Ireland, England, Wales, Scotland and all over europe. We also offer a wide range of flat roof carports, pitched roof carports, hipped roof carports and pent roof carports. Thinking of about a stylish pavilion or garden house? Perhaps a roof for your pool? We can provide you with customized pavilions, garden houese and pool roofs of the highest quality. We produce in Berlin, Germany, and deliver to Ireland, England, Wales, Scotland and all over Europe. Our bespoken products are precision engineered and can be very easily assembled, either by yourself or our professional teams.